Ships today if you order in the next 2 hours 37 minutes. Tired of popping pill after pill to meet your calcium requirements? 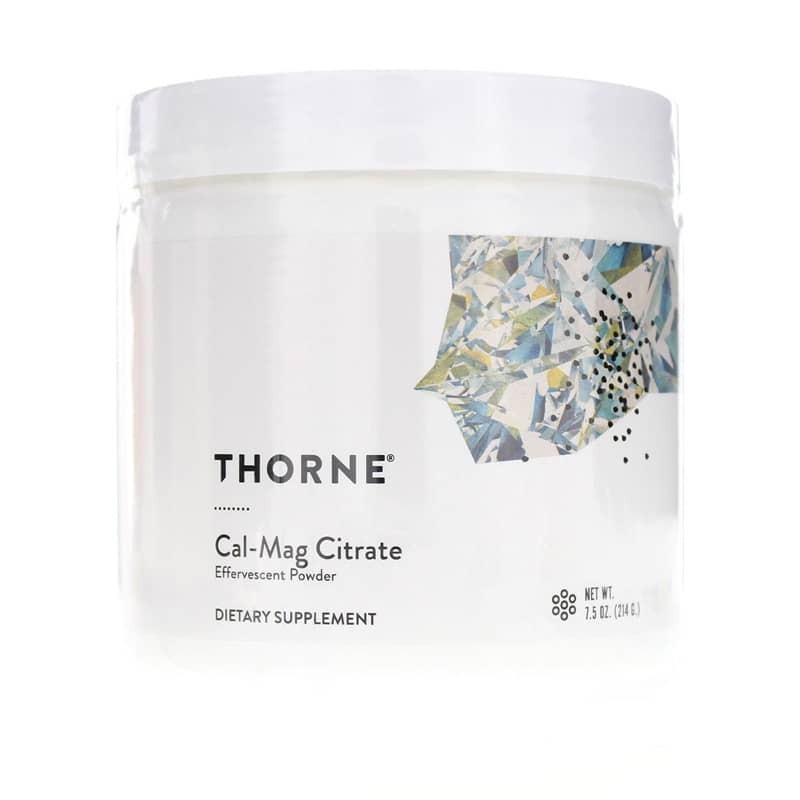 Try convenient, absorbable Cal-Mag Citrate Effervescent Powder by Thorne Research. Cal-Mag Citrate Effervescent Powder is a natural calcium magnesium powder supplement with vitamin C for extra benefit in an easy to use, fizzy mix. 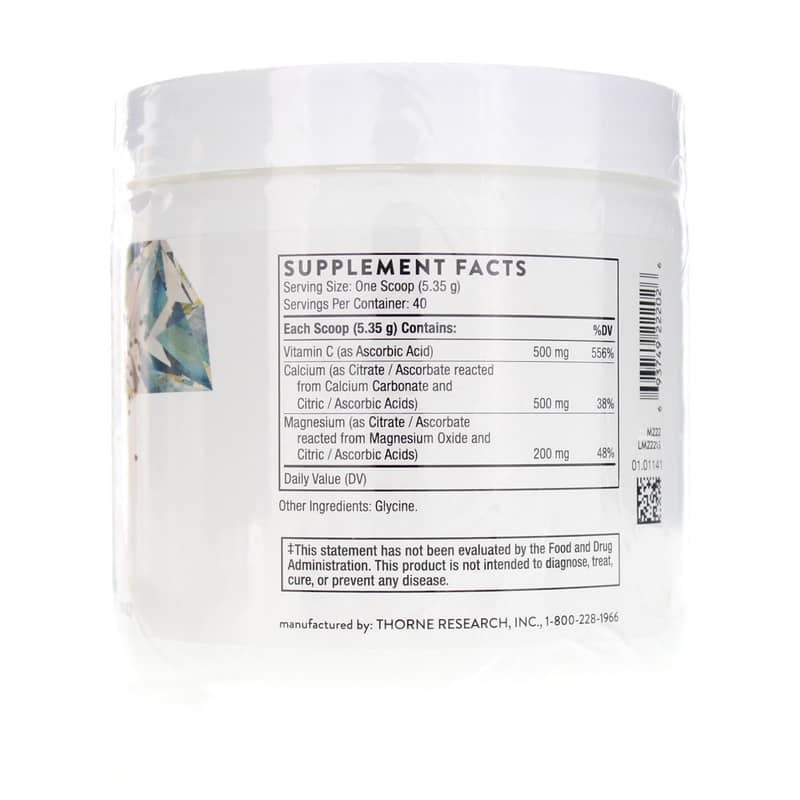 The natural effervescent quality of citric acid promotes the bioavailability of calcium, allowing you to get the most benefit from the high-dose, 500 mg serving. In addition, citric acid also plays an important role in energy production. Like citric acid, magnesium is important for bones and more. Along with calcium, magnesium helps to maintain normal bone density after calcium levels are restored. In addition, it's important for normal cardiac rhythm, pulmonary function, and blood glucose levels. It's also involved in nerve conduction, conversion of B6 into its usable form, energy production, and muscle contraction. 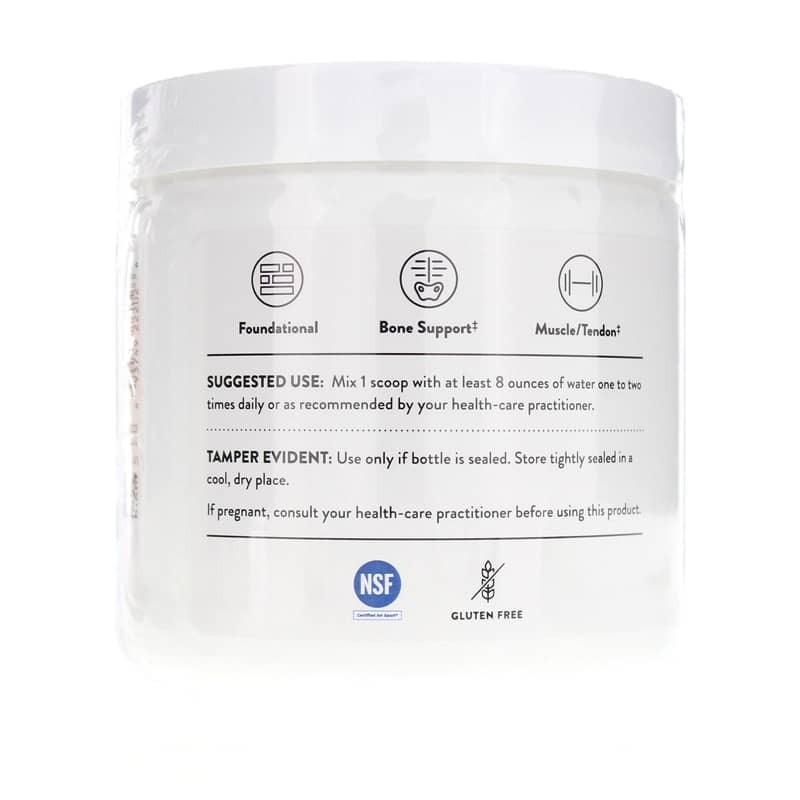 Cal-Mag Citrate Effervescent Powder includes less magnesium than calcium, making it ideal for individuals who need a higher dose of calcium but can't tolerate an equal dose of magnesium due to its laxative-like properties. For an added health boost, Cal-Mag Effervescent Powder also includes 500 mg of vitamin C and 500 mg of the amino acid glycine. Drink your way to better bone health with Cal-Mag Effervescent Powder. Gluten-free. NSF Certified for Sport. Adults: Mix 1 scoop with at least 8 ounces of water one to two times daily or as recommended by a healthcare practitioner. I prefer the powder way of ingesting vitamins and minerals. Pills do not seem to do any good for me. Cal-Mag Citrate Effervescent Powder dissolves easily and the flavor is not bad. I use Cal-Mag Citrate Effervescent Powder at work and at home. Great formula! A quick, fizzy drink eliminates pills.